Local news sites are 'competing' with false news sites simply bent on making money. One or more of your favourite Maltese media houses/newspapers/websites will cease to exist in the next five years. It doesn't take clairvoyance to understand the implications of the downward trajectory in the media's revenue - the writing is on the wall for anyone who bothers to venture beyond his Facebook bubble wall. The sad truth is that public goods such as journalism are not attractive commercial ventures. Newsrooms around the world that have traditionally provided the most original journalism are decimated and radically shrinking as funds run dry. Journalists are a dying breed. 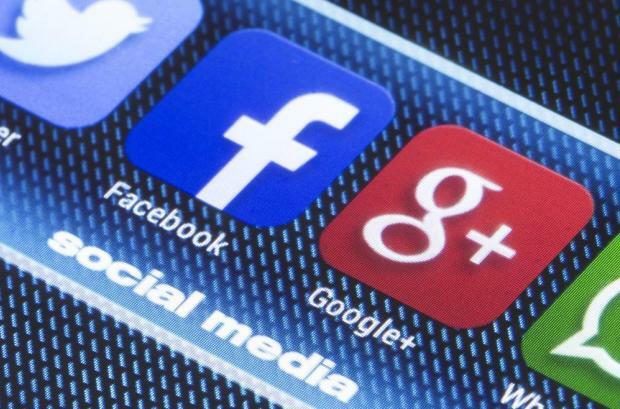 The assault on legacy and new media outlets is coming from all directions – from a decade of confusion caused by digital disruption, fuelled by conglomerates Google and Facebook, to snarling politicians attempting to discredit mainstream media. And we can start that by asking ourselves one simple question: how will we know the difference between truth, myth, lies and... marketing? I’m well aware that most media organisations screw up at some point or other. Mistakes are caused by a lack of verification, sheer speed or, increasingly, dwindling resources. Lack of training and incestuous relationships with business and politics also contribute to bad journalism. But many media houses do their damnedest to get to a semblance of the truth and most journalists take risks and work way above their pay grade at personal expense. I won’t bore you with the figures – but to put things into perspective - print advertising revenues, which used to carry much of the cost of producing news have been decimated by 69% in a decade. Britain has seen the disappearance of 200 regional and local newspapers since 2005. The same problems are being felt in Malta. I can only talk about Times of Malta. The internet means we now have more readers than ever in our 83-year history, but we can only dream of having the budgets we had say, 10 years ago. Put simply, the increase in digital revenue does not make up for the decline in print advertising. Facebook has morphed into a monster feeding on dodgy clickbait websites created to lure you to buy into (false) stories and products. Despite its recent attempts to try to highlight fact-checked and verified stories, Facebook is really out of control. And were that not enough, the term ‘fake news’ is being manipulated by politicians around the world as a weapon to denounce news reports that do not fit their version of the truth. Cue: governments and businesses are increasingly rerouting advertising to Facebook or Google to castigate news organisations whose reporting does not tie in with their rhetoric. Surveys continue showing distrust in the media but in reality, do we know what ‘media’ are we really referring to? Is it the political propaganda drip-fed to us through One and Net? Is it that item on your Facebook feed linking Davide Tucci/Ben Camille/your next door neighbour to a get-rich-quick scheme? Before you say we'll be better off without journalists probing the government/party/entity you support – just think about one thing: the same independent journalist could be investigating the wrongdoing of your political opponent when the time comes for it to assume power. In a post-truth world of fake news, real journalism becomes vital. 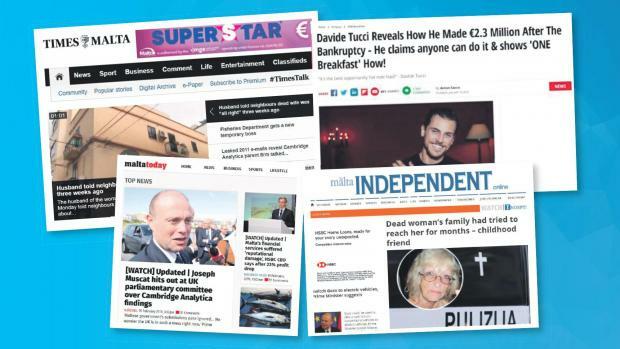 Most news organisations, including Times of Malta, give away all the news for free online, but media organisations employ dozens of people at great cost to produce that content. And we do not have George Soros or some rich oil tycoon to prop us up financially. Almost all media organisations need to take a good look at themselves and see how they can remain relevant and financially viable. 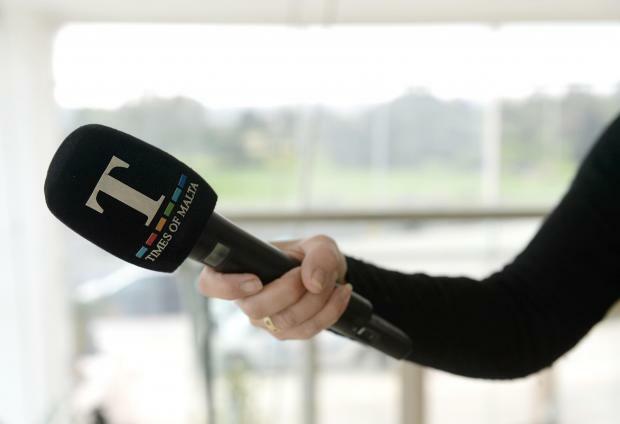 In a recent opinion piece, Malta Today’s managing editor Saviour Balzan said the future of the press can be guaranteed by direct government intervention through financial and legal reforms that can aid the industry. That is one area which needs discussion at a time when media outlets are revising their advertising models to remain in the game. The much-respected The Guardian solicits donations from its readers and this model appears to be working because their readers realise more than ever the important role the news organisation has in society. The recently-released and brilliant Cairncross Review report suggests a study of the workings on the online advertising market to ensure fair competition. But beyond the newsroom walls, each one of us needs to take a good look at the cost of a democracy without a functioning press. The day news outlets cannot afford to employ investigative journalists will be the day corrupt and inept public officials sleep a good deal sounder at night. Read: Have I got news for you? Picture a world in which politicians are given free rein to communicate only their good news stories, and no proper scrutiny or accountability of them existed. Imagine Malta without a national mirror, and you can never see a true reflection of what it looks like. Then substitute it with a distorting mirror which reflects a contorted image by disseminating lies and fake news. Do we only want to be shown videos of cute cats interspersed with political propaganda? Or do we want the odd disclosure of corruption, the amazing human interest story and fair journalism that explains society to itself? It is not just in my interest or that of my colleagues to stop this ominous slide. It is up to each one of us who worries about the implications.